Loads of you want to have the facility to set a reminder for calendar events so here goes. 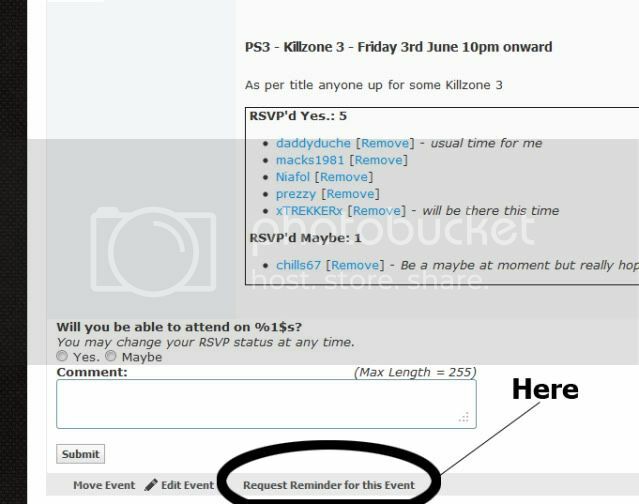 When you view an event and you RSVP..
After you click that link you will get this page. Now click the drop down button to reveal t your reminder choices.. I find that it reminds me as if the time of the event is midnight ie the day of the event. Is that how the event was set up or something else? It's the time that's used for the event start mate.